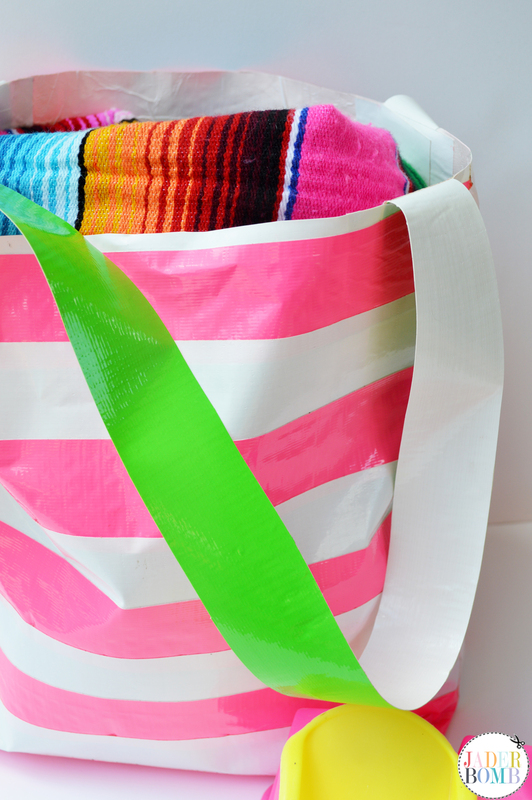 Today I will be showing you how I made this “Waterproof Duck Tape Beach Bag”. I created this for FISKARS and you can get the full tutorial by clicking on the link above. I know what you are thinking. Is it “wine” or “beer” proof. I have not officially tried it but having a bag this cute on my shoulder I would assume it would hold anything that could possibly be dear to my heart. That would include BEER and WINE. Yep. I am from the South. Yep when you spill any wine or beer we literally call it “alcohol abuse”. HEHE! 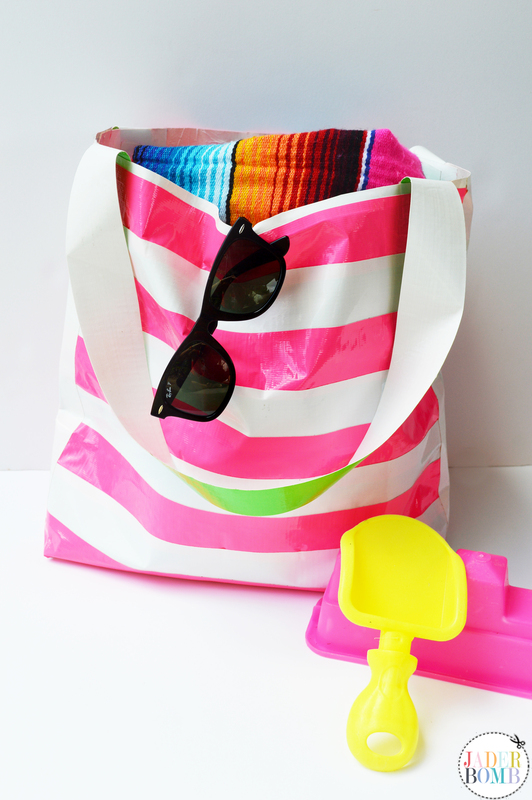 This bag was so much fun to make and I am totally digging the big pink and white stripes. It’s bold, bright and beautiful. I will say this, I see ton’s of other bags in my near future. Duck Tape’s neon colors are the best thing to make a bag with and they always look great paired with a clean crisp white. ENJOY! Wanna check out my other projects I created for Fiskars? Clickity Click HERE!